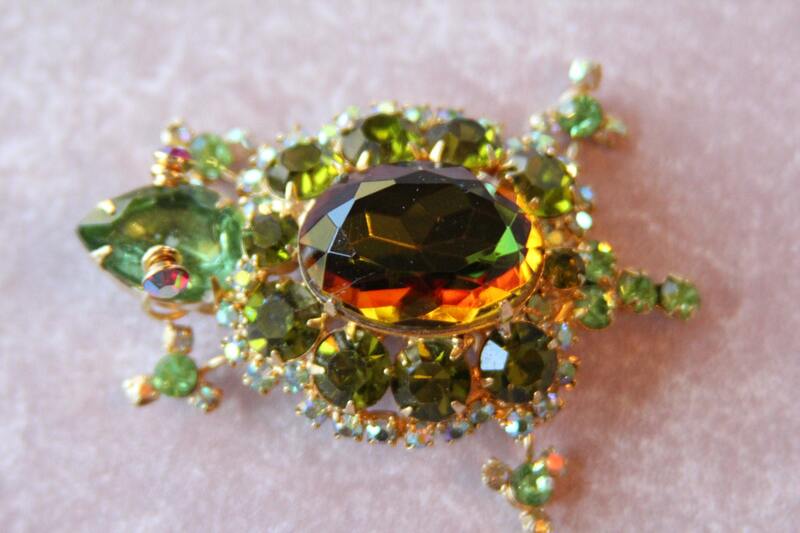 Gorgeous desirable JulianaTurtle brooch, pride of the Juliana collector. 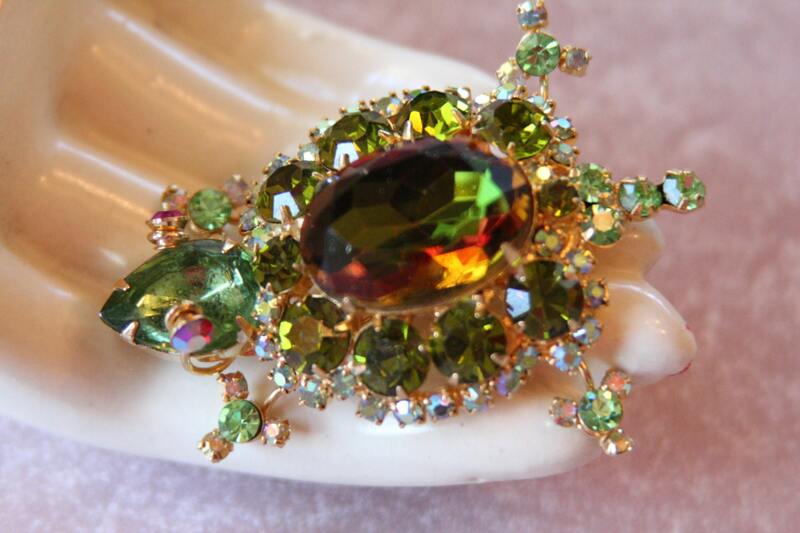 This figural appeared in the design books in 1968 according to Ann M. Pitman author of Juliana Jewelry Reference, a very dear friend of mine, This is the actual pin that was featured on the back cover. 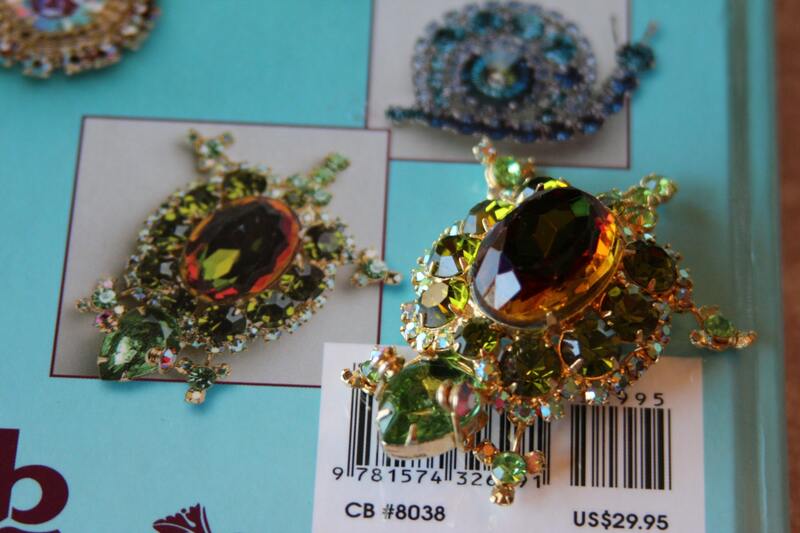 Several colors were offered, This color scheme is difficult to find and highly prized. Great condition, One of many figurals to be listed this week. I also have the snail that was on the back cover, check listings for that beauty! 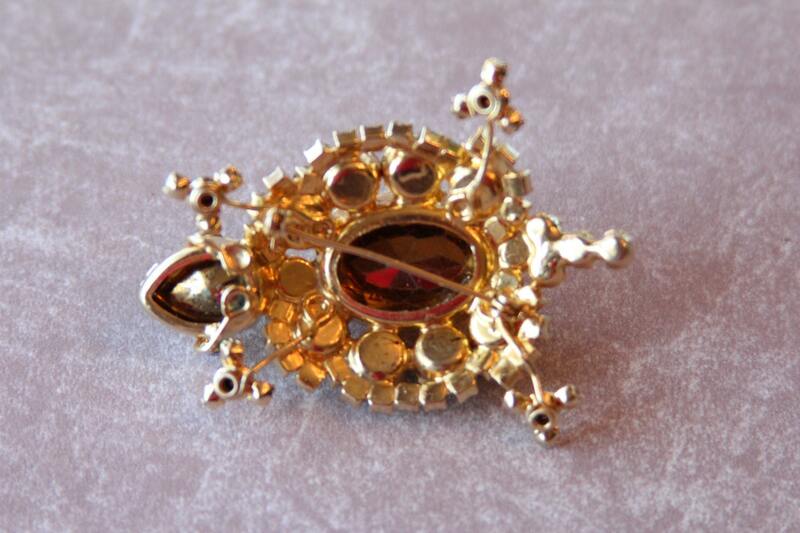 There is some slight fading of the foil in the head, but it is still a fabulous brooch. Good condition and very wearable.